1.首先应根据油品的粘度选择适当的泵转速,以保证泵NPSHr能满足用户的实际吸入条件.The first select the appropriate pump speed should be based on the viscosity of the oil, to ensure the pump NPSHr can satisfy the user's actual suction conditions. 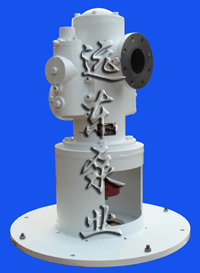 2.介质粘度大于760cst时,请与我公司联系,我厂帮助用户选泵.The medium viscosity is larger than 760 CST, please contact our company, our factory to help users choose the pump. 3.从性能表中选定泵的规格及相应粘度下的压力,流量后,可以查到泵的轴功率,根据轴功率选定配套电机功率.Selected from a performance table of the specifications of the pump and the corresponding viscosity under pressure, flow, can check the pump shaft power, according to the selected shaft power motor power.